"We just can't stand our old bathroom anymore!" According to the 2018 U.S. Houzz Bathroom Trends Study, the most common reason homeowner undertake a bathroom remodeling project is they want more style, space, lighting and resale value from the most used room in the home. The study* finds that 37 percent simply couldn't stand their old bathrooms any longer. The second most common reason for remodeling the master bathroom (30 percent of respondents) is that people have been saving up to do the project and finally have the funds to accomplish the task. The Arnold-Fair family exemplifies the study's findings. They added two acrylic block windows as part of their master bathroom renovation. "We installed one of these windows into our walk-in shower to provide light in a trapped space," says Randy Arnold-Fair from Eden Praire, Minn. "Then we added one off to the side in a corner of the room near the new vanity. "The acrylic block windows allow for a maximum amount of light to enter the rooms without the need for any sort of curtains or blinds to assure privacy from the outside. "Installation couldn't have been easier. These acrylic block windows are much lighter than a real glass window, so it was easy to handle. For my next remodel I'm tackling the master closet and I plan to include two more Hy-Lite windows in that room." The Houzz survey results, which came from more than 1,100 registered users of Houzz who had completed a master bathroom remodel in the previous 12 months, were working on one or were planning to start one in the next three months, also reports on design goals from homeowners. Making the master bathroom stylish and beautiful was the top design priority report, cited by 79 percent of remodeling homeowners. As for functionality, the top priority, cited by 47 percent of respondents, was to add good lighting to the master bathroom. Homeowners installing acrylic block windows have found they can achieve both these top priorities with a single window. 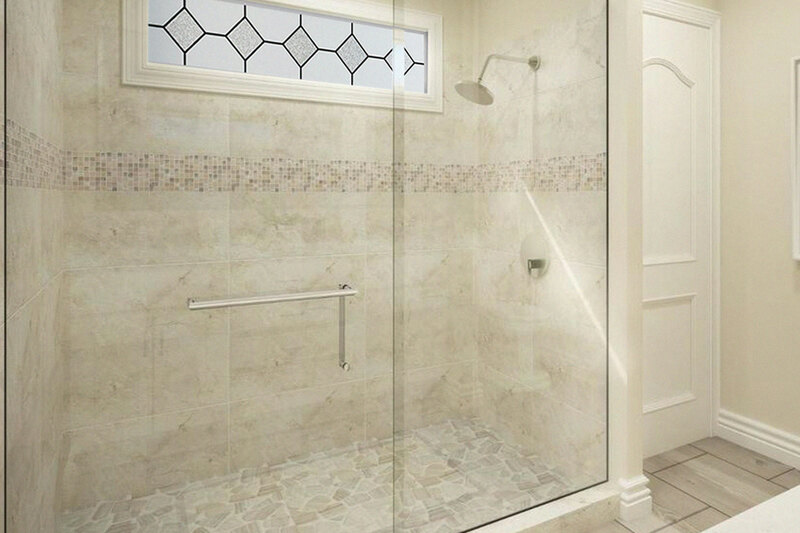 "We wanted the glass block 'look' for style along with ventilation and light in our shower setting," says homeowner Erin Borofka of Bloomer, Wisc. "The operable acrylic block window was the ideal solution for architectural charm and maintenance-free living." Available in many sizes, acrylic block privacy windows can be ordered in fixed or operable styles, to open up and allow in breezes when wanted. Hy-Lite, which has been in business for more than 30 years, also offers long, thin transom privacy windows, geometric and oval shaped windows. Located in Florida, Hy-Lite manufactures approximately 500,000 acrylic blocks each year to include in their privacy windows. The blocks are created with acrylic resin materials and then framed in either vinyl or aluminum. Skilled employees use silicone for sealing and glazing the windows. *The 2018 U.S. Houzz Bathroom Trends Study gathered information from 2,237 registered users of Houzz and included a final sample of 1,144 respondents with a master bathroom project, 580 with a full non-master bathroom project and 120 with a partial bathroom project. It was fielded between June 30 and Oct. 17, 2018.